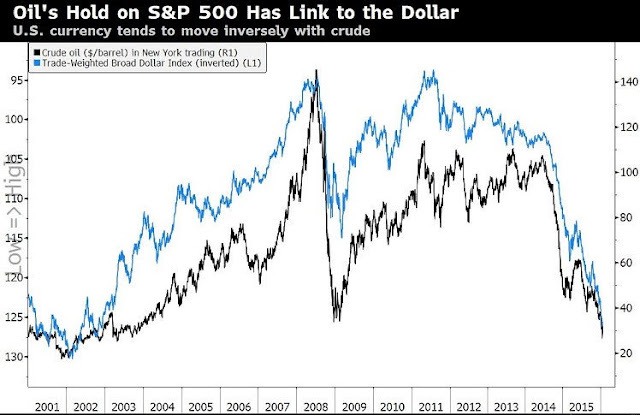 While oil prices have tracked the Standard & Poor’s 500 Index more closely this year, the link between moves in crude and the dollar has the attention of Citigroup Inc.’s chief U.S. equity strategist, Tobias Levkovich. “Investors may just need to look at one factor rather than a plethora of inputs” to understand oil’s moves, he wrote in a report Monday. The 30-day correlation between WTI crude and a dollar index was minus 0.91 a week ago, while oil’s correlation with the S&P 500 surpassed 0.95 last week.